In today’s digital age, the interpretation of data has become a crucial practice, implemented across an array of industries—think information technology, sales, finance and health care. Professionals interpret data to gain insights, observe patterns, and develop strategies for improvement and change. In just a few short years, data analytics has become one of the most prominent areas of business practice, and employment in this sector continues to grow exponentially. Given that data analytics professionals are in such high demand, shifting your career in this direction could be a wise move. One way to expand the number of opportunities available to you in this area is to enroll in a Master of Science in Analytics (MSA) program. At Villanova University, the online MSA program is an ideal way to learn crucial skills that can expand your career horizons. 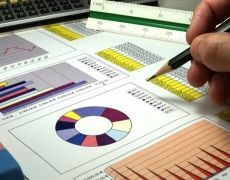 The courses are taught by an interdisciplinary team of educators in an array of applicable fields, such as statistics, mathematics, computer science and of course, analytics. The ease and flexibility of online learning means you can balance your studies with an already established career, family life and other commitments. If you think enrolling in an MSA program is right for you, you are probably already thinking ahead to the kinds of careers you could pursue upon graduation. As outlined above, the options are plentiful; however, one career path you could be particularly well suited to as a Villanova University MSA graduate is that of a data analyst. Collecting data using various programs. Analyzing data in accordance with industry-wide formulas and best practice. Conducting meetings and presenting crucial information to executives in the C-Suite. Following guidelines and methods for data analysis to ensure that all information and strategies remain consistent. What qualities make for a great data analyst? Advanced education. Although a master’s degree is not necessarily a prerequisite in every case, many employers will prefer candidates with comprehensive knowledge of data analysis and the business world in general. It is for that reason that Villanova School of Business MSA graduates are particularly well suited for the role, although MBA graduates often qualify as well. A strong aptitude for numbers and analysis. An understanding of the industry he or she is working in. For example, data analysts in the field of marketing should have a nuanced understanding of the industry and emerging trends. An ability to observe relationships between seemingly disparate areas of data stored in various databases across an organization. Strong presentation and communication skills. A large component of a data analyst’s role is drawing conclusions, making predictions and then sharing that information with company executives in a clear and concise way. CNBC reported that the demand for data analysts far outweighs the current talent pool. Consequently, data analysts can command lucrative salaries. According to popular careers website Payscale, the median annual national salary for a data analyst stands at around $55,000, with many professionals in the industry earning considerably more. As CNBC noted, it is possible for graduates, particularly those with MSA degrees, to earn salaries in excess of $100,000 a year. When you enroll in Villanova University’s online Master of Science in Analytics program, you will receive the skills and training you need to pursue a number of high-powered and well-paid positions, including that of a data analyst. If you pursue a career in this field, you will utilize the skills and knowledge attained throughout your MSA studies on a daily basis. For more information about enrolling in Villanova University’s MSA program, visit the admissions page.